One of Clai's most important wines. It's a blend of Refosk which gives a nice color with purple hues, Cabernet Sauvignon which gives strenght and Merlot which gives softness. Bright cherry fruit and a bit of smoke on the nose and very fruity. Intense range of undergrowth, humus, leather, licorice and a hint mineral. The palate is all floral, with a strong scent of rose petals and violet with some crushed berries and delicate aromas of vanilla in the background. 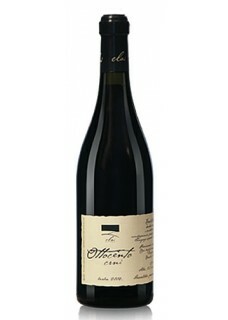 Although powerful, this wine is elegant., The finsih is very long with lots of character. It has huge cellar potential.